Bhannerghatta, on the outskirts of Bangalore City, offers you the sights, sounds and action of a 2500-acre nature reserve. In fact, where else in the world you will find an extensive nature reserve in such proximity to a city? In the eco-proactive spirit of Jungle Lodges, we have crated a Nature Camp- an ideal place to bring out the naturalist in children and adults alike. 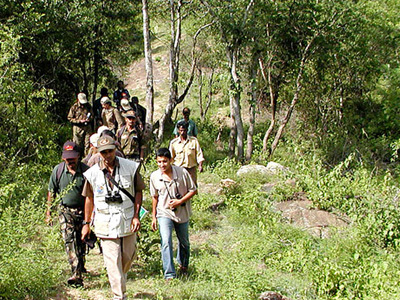 Bhannerghatta is also where the Karnataka Forest Department rehabilitates lions, tigers and other animals rescued from exploitative environments. They live in kraals that recreate their natural habitats. 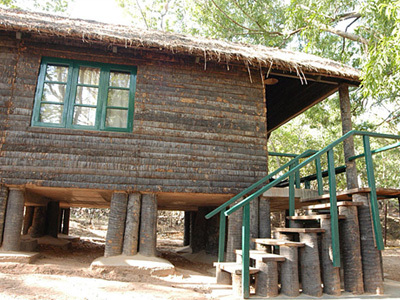 Bannerghatta Nature Camp has eight luxurious, tented cottages, twin-bedded Swiss-tents with attached bathrooms. Bhannerghatta is ideal for an overnight getaway- one that’s exciting, un spoilt and extremely accessible. Our travel experts have complete knowledge of destination. Our travel experts will handle your trip from start to finish. Training by Ministry of Tourism, hand picked by us or our local partners as the best available. Offering more than just dates and names, they strive to offer real insight into their region. Recognised by Ministry of Tourism, Govt. of India as Inbound Tour Operator in India.